The result has been that the Democrat party is now effectively pro-abortion, while the GOP is pro-life. 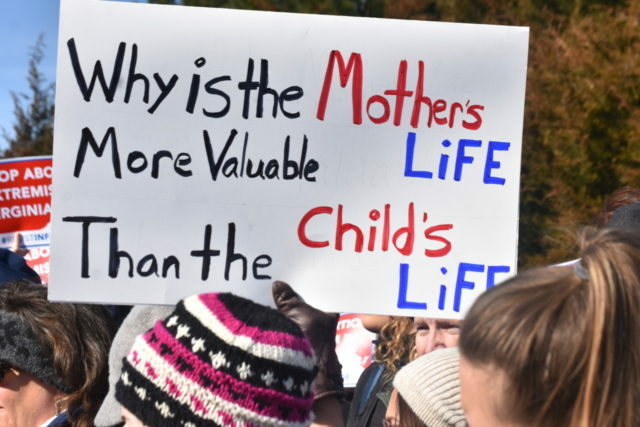 Mallory Quigley, a spokeswoman for Susan B. Anthony List, a group that promotes pro-life candidates to federal office, said that abortion has been a motivating issue helping its candidates in recent election cycles. “This absolutely includes women and younger voters who have been increasingly turned off by the Democrat Party’s extremism on abortion,” she said. Americans overwhelmingly favor greater restrictions on abortion than are currently in place, according to a comprehensive Marist poll conducted in January 2019. A full three quarters (75 percent) of Americans say that if abortion is going to be allowed at all, it should be restricted to within the first trimester. Even among registered Democrats, 60 percent say abortion should be limited to — at most — the first three months of pregnancy, which suggests that Democratic leadership is significantly more favorable to abortion on demand than its constituents. The survey also found that 65 percent of Americans say if the Supreme Court revisits Roe v. Wade, it should either return the question of abortion law to the states (49 percent) or outlaw the procedure altogether (16 percent).